Amazon declared July 15 to be Prime Day in honor of their 20th anniversary. Walmart and other competitors followed suit with sales of their own to get a share of the July shopper’s spending. In the US, July is a notoriously slow period unless you’ve a vacation-oriented business. So it’s no surprise that the biggest retailers created special reasons to entice customers to purchase. Retailers clear out summer clothes and gear over July 4th leaving them with little new merchandise to lure prospects to purchase until back-to-school season starts in August. While the sales yielded negative social media commentary, Amazon reported 34.4 million items ordered worldwide during its Prime Day sale. This broke the Black Friday 2014 record. Additionally, it promoted the Amazon Prime brand. Give customers a good reason to buy based on their criteria, not yours! Therefore plan for last minute sales and include budget to promote it. It’s part of every marketer’s toolbox. You never know when you’ll need to compensate for weak sales or an outside event beyond your control. Just as Amazon created Prime Day, you can develop successful promotions that drive sales and support your brand. These 7 steps to create profitable marketing promotions will help you. Know your costs, margins and pricing. Without this information, you may create sales that cost your business more money than you bring in. Be careful since not every promotion yields profitable results. At Bertelsmann, we added an extra promotion into our marketing calendar midpoint during the year. While it added sales overall, they were at a lower level than average because we had no quality product to offer. To this end, you need to explain to prospects how to assess your product’s full costs. For many firms, your offering is more than just the product—it’s installation, accessories, service and more. This is particularly important if you’re selling high priced considered purchases like a car or furniture. Not sure what to include? Here’s a list of 25 offer related questions to help you present your full offering. You don’t want customers to time shift planned purchases because you’re offering a better deal. This will reduce profits. Instead, encourage shoppers to buy product that’s not moving or is passed its season. To do this, you must understand your inventory dynamics and customer buying habits. This is easier for companies that offer similar products year after year. Every knitting store I’ve ever visited always has a sale bin where prices are reduced significantly. During slow months, they put out old, one of a kind product and promote these sales. Plan your sales and offers for a year at a time. Start by looking at your past year’s offering and results. As a rule of thumb, include at least one major sale per quarter and smaller promotions for the other months to keep customers buying all year round. Know that your customers are savvy. Banana Republic taught consumers that styles change every month. 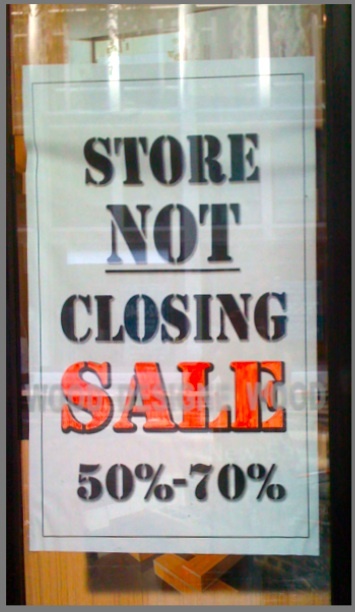 The downside of this knowledge is that buyers looking for the best price will wait until the merchandise is reduced. Make your promotions feel new. Change different aspects of your creative mix to entice prospects to purchase. Where possible, test different creative elements against a control to maximize results. For annual promotions, don’t forget to utilize existing content that you’ve re-envisioned to make it feel new. BUT make sure that your copy, including any restrictions or caveats, is clear to your potential buyers. You don’t want to ignite social media chatter. Maximize your owned media to communicate your promotions. At the heart of most businesses is a house email file consisting of prospects and customers who have shown interest in your company or purchased from you. At a minimum, use your email file to enhance sales. But be careful not to over use it for promotional purposes or you’ll cause people to unsubscribe. 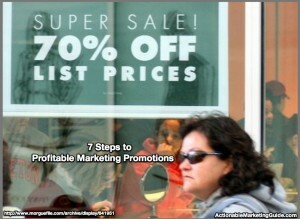 BTW, here are 12 ways to increase sales after purchase. 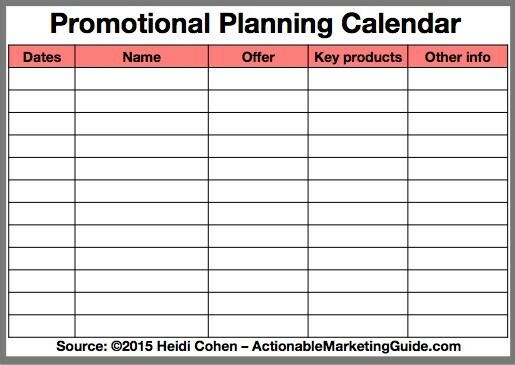 Measure the effectiveness of each promotion. Assess the offers relative to similar offers and/sales. Use actual past sales results as a point of comparison, not budget numbers. Also, assess costs, margins and inventory. Promotions entice customers to buy. They’re a key element in every marketing plan. To be successful, make sure that your promotions get customers buying when they wouldn’t otherwise and that they help clear unwanted inventory. What was your best performing promotion?